If you are looking to set up your new business and wondering if the United States is a good option, you’re on the right track! The country is the world’s wealthiest by GDP and provides for a large consumer market. It is ranked 6th among 190 economies in ease of doing business and is consistently ranked among the best internationally for its overall competitiveness. Besides corporate policies that are supportive of entrepreneurs and start-ups looking to make a mark in the business world, its business culture encourages free enterprise and competition. The US also follows the principles of a capitalist democracy with a transparent legal system for every corporate entity, regardless of its domicile. Furthermore, while the procedure for incorporating and registering a business varies by state/territory, the regime is normally simple, straightforward, fast and inexpensive, which is yet another USP of opening a company in USA. From the pro-business atmosphere and quality of life to the technological advancement, logistical innovation and skilled workforce, the United States has it all. The nation’s diversity and openness are what truly allow businesses all around the globe to find their right place in the market and flourish. 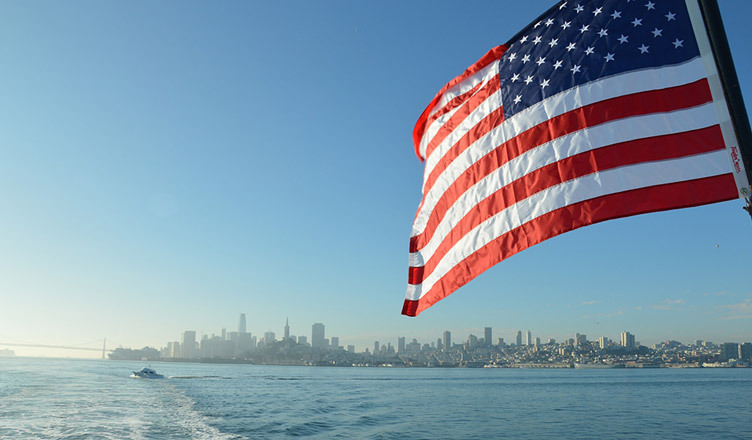 Here are some of the advantages of starting a business in the United States. The US has a large consumer market base of over 325 million. It is the world’s largest consumer of goods and services, and hence a preferred market to set up a business in. It is abundant in resources and has developed sufficiently to tap into them. The government policies and regulatory framework in the US is business-friendly and supportive of start-ups. The infrastructure in the country is cutting-edge. Everything ranging from office space to business outsourcing is handily available here. The US has double taxation treaties with more than 60 countries, saving companies here the burden of paying undue tax. How to Start a Company in USA? The procedure of company formation in USA might vary faintly from state to state. However, the general guidelines remain more or less similar. Invest in America was established in the International Trade Administration on 7 March 2007. It is the chief US government support system to promote foreign direct investment, aiming to contribute to job creation, innovation, and competitiveness. Invest in America’s efforts are focused on outreach to businessmen and corporate entities abroad, bolstering the government’s efforts to promote investment, and addressing the environmental impact of business activities by serving as a mediating framework in Washington for the international investment community. Invest in America reinforces the longstanding U.S. Open Investment Policy. Through Invest in America, the Department of Commerce promotes the U.S. economy as one of the best places to do business. Are you thinking of registering your company in USA? If yes, look no further. Business Setup Worldwide is a platform to help you establish your company and grow it internationally. We provide support services from business incorporation, registration and chartered accountancy to tax consulting and intellectual property protection. To know more on how to register a company in USA, contact us – we’d be glad to help!